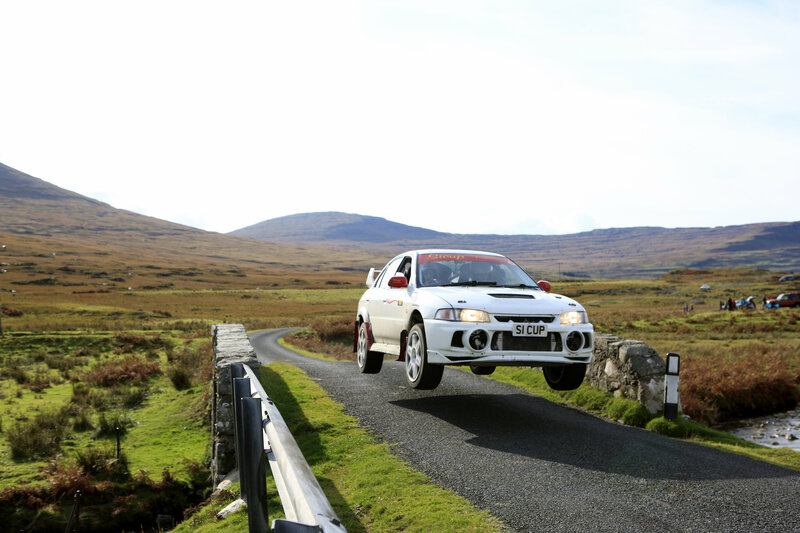 Fifty years after rally cars first competed up Glen Aros, the Scottish Government has today (Wednesday, April 17) published legislation allowing Closed Road Motor Sport to take place in Scotland. Replacing the 1990 Strathclyde Act means one thing: the Beatson’s Building Supplies Mull Rally is back. The organisers of Britain’s first ever closed-road rally have been working behind the scenes in readiness for this news. Thanks to that diligence and determination, the route for Beatson’s Building Supplies Mull Rally (October 11-13) has already been approved by Police Scotland and Argyll & Bute Council. Additional support for the rally has been applied for and granted by Event Scotland. Friday October 11 this year marks the end of a 1,089-day wait* since John MacCrone and Stuart Loudon won the 2016 Beatson’s Building Supplies Mull Rally. Finally, the likes of MacCrone, Duffy and Harper and 147 other lucky crews get to pit themselves against the Hebridean island’s legendary Tarmac roads. Jardine and the rest of the Beatson’s Building Supplies Mull Rally team have no intention of letting the golden anniversary of Britain’s foremost closed-road rally pass without celebration. Further details of the route, entries, marshalling news and, of course, plans for a golden Beatson’s Building Supplies Mull Rally will be coming your way. And relax… we’re back. See you on the island. *Mull Rally organisers were forced to cancel the 2017 and 2018 events for insurance-related reasons. The new law has clarified the position and potential liability to the satisfaction of the Mull Rally team.